As the ICC Cricket World Cup 2019 approaches closer and closer, the anticipation for the event increases day by day. While hosts England, and India, start as forerunners to claim the 12th edition of the premium limited-overs competition in the world. In the past month and a half, we saw an interesting development that revolved around England’s tour of the Caribbean Islands. While the hosts West Indies managed to convincingly beat the English 2-1 in Test series, the talking point of the cricket world was how the Windies faired brilliantly against the mighty England in the ODI series. A one-sided, comprehensive and dominating display in the 5th and final ODI by the hosts made sure that the No.1 ranked ODI team in the world was held at bay 2-2 in the series. Analyzing the way how the 'calypso kings' performed in their recent series against England, one could feel a sense of positivity and optimism in and around the Windies camp. This newfound energy demonstrated by the West Indies augurs well not only for themselves but also for the cricketing world in general, especially since the World Cup is just around the corner. 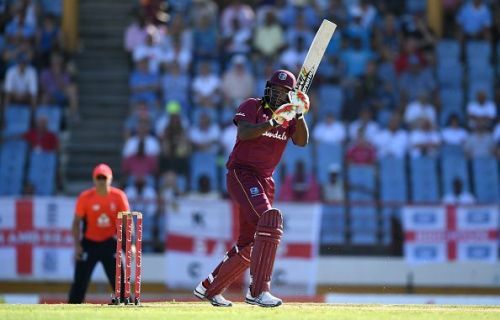 The mighty Chris Gayle making a comeback at the age of 39 was pretty much at the cornerstone of the rejuvenated performances from the men in the Caribbean as he amassed 424 runs in just 4 innings and returned with 39 colossal hits over the fence. Just his presence in the side adds an all-together different dimension to the Windies set-up and is enough to send down shivers to any bowler from the opposition ranks. But, this current West Indies line up is not just about Gayle or Lara as it used to be. It comprises of a few familiar faces but most importantly breathes with fresh faces that bring to the table huge potential and plenty of hope as we anticipate good performances from the Windies throughout the World Cup and beyond. The likes of Shimron Hetmyer, Shai Hope, Nicolas Pooran, Sheldon Cottrell, and Oshane Thomas not only possess massive talent but also add the exuberance of the youth that brings a sense of freedom and robustness to the team. The men who have been a part of the team for a little while now such as captain Jason Holder, Darren Bravo, Andre Russell, Ashley Nurse, Devendra Bishoo, and Kieron Pollard, alongside Gayle, on the contrary, bring a sense of sensibility, credibility and much-needed experience. In Jason Holder, West Indies have a stable leader who seems to have a balanced head on his shoulders and so far has brought dignity and respect to the team not only through his individual performances but also through his leadership skills. With a long-standing history of conflicts between West Indies Cricket Board (WICB) and West Indies Player Association (WIPA), one gets the notion that at any point of time the team can fall apart creating voids that are impossible to fill and that’s the exact reason why having a cool-headed captain like Holder makes the team less vulnerable not only on but also off the field. If you are a cricket lover, there’s no better joy than witnessing the team from the Caribbean islands go out all guns blazing. There’s never a dull moment around the Windies team and the sense of excitement, anticipation, vulnerability and at times madness that they bring to the fore makes the game incredibly entertaining to watch. They are as important to cricket as important as cricket is to them. If the game of cricket was a giant party, West Indies are like the life of the party, and cricket simply won’t be fun without them. Hence, good performances from the West Indies in the World Cup can add to the overall success of the tournament. Thinking of West Indies as a contender to win the World Cup might be expecting little too much from them, but they are completely capable of causing a few major upsets at crucial junctures of the tournament. Only time will tell how well actually they fair at the World Cup, but, they surely have a rich history of success to draw inspiration upon! 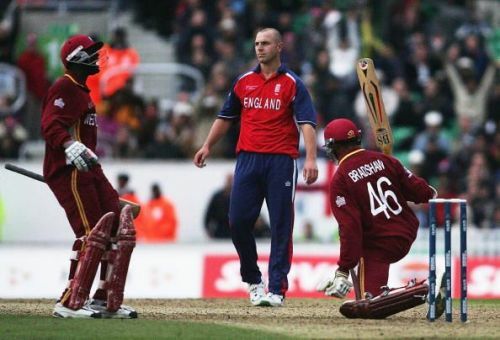 West Indies vs England 2019: Will England's aggressive approach hamper their World Cup hopes?